Ammar has over 8 years of industry experience as an agropreneur in Malaysia and was extensively involved in research and development collaboration with the Malaysian Ministry of Agriculture and the Malaysian Agricultural Research and Development Institute. He is passionate about teaching and research and sees the opportunity to be an agribusiness team member at SAFS as an opportunity to explore the wider and deeper aspects of education as a powerful tool for promoting research, development and innovation. During the course of his early employment at the School of Agriculture and Food Sciences (SAFS) in Gatton, he was given the opportunity and responsibility to engage in on-going trans-disciplinary, industry connected and applied research projects in cotton, rubber and oil palm. His primary research interest lies in identifying and developing sustainable agribusiness models in developing countries where activities are largely conducted by small holders with relatively low level of education, small size of planted area, limited capital and often low rate of production. 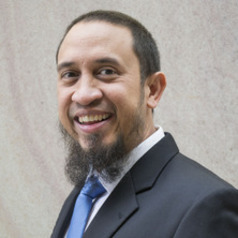 He is particularly interested in how we can integrate the innovation and adoption of technology, financial and risk management techniques and general management practices to achieve improved sustainability and livelihood outcomes. He aims to use his research to positively impact the development of agribusiness in developing countries, such that it enhances the resilience of communities to seasonal variability, unstable fuel prices, rising logistics costs and fluctuating currencies.